Q: What are the legal grounds for an Annulment in Trinidad & Tobago? How are they different from the reasons for a divorce? How to proceed to obtain an Annulment? A: There is no law that forces you to end your marriage in a certain way. You can end as partners or as adversaries, fighting in court or agreeing in court, breaking the bank or limiting your emotional and financial damage. And at any time, you can change your mind. Dissolution is cooperative. It is the legal way of agreeing on all issues and moving on. It is completely private and in your control, but for the final judgment which is part of the public court record. Procedure: First, a written separation agreement outlining mutual understanding on property, support, and parenting responsibilities. Second, a petition for dissolution, which is a request that the court legally end the marriage in accordance with your separation agreement. You may have to attend a hearing, but in most cases it is not necessary. You may choose a collaborative divorce, where both parties and their attorneys sit down to resolve issues together, privately and outside the courtroom. You and your former spouse decide on support, property division, and parenting choices in an atmosphere respectful of everyone’s interests. For problems that resist a collaborative solution, there are different forms of negotiation, professional mediation or arbitration to resolve difficult issues without going to court. For many matters, the least desirable choice is litigation. Legal separation is an action that results only in a formal decree of the rights and responsibilities of each spouse while they live apart. It does not dissolve the marriage. A separation agreement, adopted by order of the court, specifies division of debts, assets and parental rights and responsibilities– the same matters involved in a dissolution or divorce. Such a formal separation gives spouses time apart to consider their marriage while keeping in place various benefits that can end if the marriage ends. It also sets a pattern of agreements that are often followed for a divorce settlement, so it is wise to agree on terms that are acceptable in the long run. Some couples seek a planned separation as a more formalized way of working on marriage issues before they think seriously about divorce. All requests to end a marriage are done through the Family Courts. Information for them can be found in previous posts concerning family issues. Well written articles.. Question! 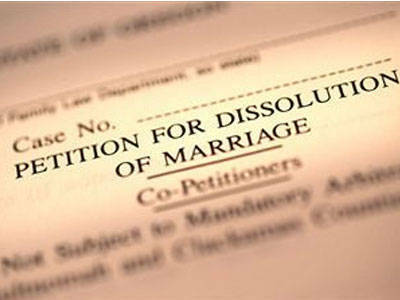 For Dissolution of Marriage ...the agreement of separation must be addressed to whom? It must be sent to the other spouse who has to agree to the terms. Hi what is the procedure to get a planned separation? That's not a ground for annulment and if you try to use it, both of you can be charged and subsequently fined or imprisoned for "marriage fraud". It's basically the same reasons (adultery, abuse, etc.) and process as the divorce, except for having to prove that the marriage as irretrievably broken down. (3) The decree operates just like a divorce in terms of its effect on any will - the spouse no longer takes any benefit unless a new will is made specifically stating that is to be the case. Hi can I get an annulment if after married for 3 months I found. Out my husband has 4 kids I had no knowledge of and is in a relationship with the mother of the kids still and leave me weeks to be with them . Yes. Send me a private email and we can get this done for you. Hi again how long will an annulment take and what documents do I have to present . Am I eligible for an annulment if my now ex-husband , who abandoned me after only 4 months of marriage, said that he could not stay in the marriage because he had secret homosexual tendencies? Yes. Send me a private e-mail. Hello I have been married 2 my wife 4 just 3 months but I have 4 young kids with another woman and just found out she is pregnant with my 5th child ! My wife never wants me 2 go see my kids and we I can't bring them into our home because we live in her mothers home . I have 2 lie. Just 2 go be with my kids and frankly my kids is much more important than she is . I also want 2 migrate 2 be near my kids because they will be migrating very soon . I made a mistake by rushing into this Marriage ! Can this be annulled ? Those aren't grounds for annulment. Send me a private e-mail; see "About Me"
These kinds of personal question need to be sent via private e-mail, which you can find in "About Me". I also want to get more information about this topic. Divorce Lawyer has to play very safe and intelligently not hurting the sentiments. My sister married 2 mo ago. She is a foreigner and on her second visit after marrying her husband in Trinidad he beat her severely and she has fled. Can she get an annullment? Possibly; send me a private e-mail. B has breached or allowed the court order to be breached. In a situation like this, the court will definitely order him to move out. Send me a private e-mail and we could begin the process. I'm not a marriage counselor, but if you decide to get a divorce, send me a private e-mail and I can deal with that for you. That's not difficult to deal with. Send me a private e-mail. my boyfriend (live in) is seperated and beginnning divorce proceedings. he was estranged for more than a year before we got together. Rumour has it that his estranged wife plans on suing me for alimony, even though my salary is smaller than hers. is this possible? That makes no sense. How can another man's wife sue his girlfriend for alimony? I live in Canada and got married to a guy in Trinidad and have grounds for an annulment as the marriage was not comsumated. Can anyone advise on how to proceed with an annulment from Canada. Thank you. question.. I have field a divorce petition and was then serve with an annulment based on consummation of marriage..by my spouse after, my date is b4 her hearing which will depend on me filing within 8 days.. so my question is i do not wish to contest and i do not have a lawyer and don't wish for what shud I do? If you don't wish to contest, you don't have to do anything. Send me a private e-mail and we'll handle this for you. Can some one tell me how to go about seeking a divorce? Whats the procedure? How long would it take? I married my husband after 3 years living in his house but he has been caught twice having an affair we have a 1 yr old daughter together and it has been almost 2yrs since we have been married not that i want his house if we divorce but i was wondering can he put us out??? hi i have a question...my husband and i got married 4 and a half years ago he asked me to sing a per-nub which he said is not valid in Trinidad and not to worry about it if and any thing is to happen i will be taken care of now there as been some issues and i have thought about leaving i have 1 child from a previous relationship we have 1 together and 1 on the way can he use that against me is it really legal or is it just because i singed a peace of paper. My husband and I were married since mid 2009 and had a child together a year later. While I'm pregnant he began hitting me, belittling me which continued till mid 2013 when i decided to end the marriage. it was first I was fine being separated but then I read that the abuse (grounds for divorce) needs to have be at least taken place 6mths ago and by now it's passed six months what should I do? I have no plans of getting back with him. Don't worry about it. Send me a private e-mail and we could discuss the grounds a little more and we could set up a consultation. Depends on certain factors. Send me a private e-mail, so we can discuss further. Can a person get married after an anulment? Of course. An annulment means that your marriage is now void, so of course you can get married again. Don't worry yourself, that's not true. We don't need your husband's consent to get the divorce. I have been married since 2007 and in 2013 i end the the relationship because I found out he was having an affair. how do i go about applying for an divorce he is currently living with the person and she is also pregnant. 1. Go to the family court and do it on your own. 2. Send me a private e-mail if you want the matter to be dealt with by an Attorney. I married at 21 before i finished my studies had no savings started to work and spent money wrecklessly! Live with my husband on his family property that he's been gradually restoring and enhancing! I've realised the error of my ways and trying to settle my debts gradually but we're at loggerheads because he wants to build his house on his family property. He keeps telling me to leave but i think its unfair he took me from my mom's house an basically operated as though we were separate entities and the reason he wants me to leave is because he wants a baby and even though its been 8yrs i dont think the circumstances are apropriate . You haven't asked a legal question. I'm not a Counselor. hi i have been married for 10 yrs and my husband and i have been separated for 7 months i still have a relationship with him cause he threatens me to never allow me to see my kids again i really want to move on with my life and have my kids with me but i work shifts i go to school i pay rent and i am putting my life in order so i can have my kids with me... i really just dont want to have anything with him and to just move on with my life.. can you help me? Of course. Send me a private e-mail. Hi is it factual that if you weren't married in a church then the marriage can be simply dissolved with the consent of one party? In any circumstance, a divorce does not require consent of the other party. what if someone got married and about 4-5 wks into the marriage (marriage not consummated) one spouse (whom has dual citizenship) confesses that the marriage was a mistake and wants to be with someone else. The couple courted close to 7mths prior marriage, however they had started filing for citizenship (U.S.) for the other spouse. Can they annul the marriage still? and how would that affect or impact on the paperwork being processed with the U.S. Embassy?? Wht steps can be taken to undo this union?? You need to send me a private e-mail. Look in the "About me" section. I actually have a serious case to bring up to you, one that's too long to talk about. Is there a type of direct contact I can get you at? E-mail address under "About Me". You can get a divorce. You need to email me. My wife got married to me four days after her 18th birthday. I am 8yrs her senior. I proposed marriage to her because she was pregnant. However she lost it but still wanted to marry. The mariage is a disaster for me. We hav two kids together but i feels as if i have three. Can i get a divorce on grounds that mentaly she was not prepared to be in a marriage? No, but there are other options. Send me a private e-mail. I have been married for 5 years and have a 3 yr old. My husband has a drinking problem and constantly accuses me of cheating (which I am not)...though the relationship is not physically abusive, there is verbal and mental abuse.....Is this solid or proper grounds for a divorce? I lived and worked in the States from 16 years old illegally, at age 19 I attended college where one of my friends suggested I get married to stay legally. At 19 years old I got married to an american citizen for papers but because of my father's poor health I returned to Trinidad at age 21. He passed away and I was revoked from entering the US. I am now 35 years old and has been in a committed relationship for the last 12years with someone else. I would like to marry my girlfriend as soon as possible but I need to divorce my "fake" wife. I would also like to find out hoe long after the divorce can we get married since we would like to have kids. Thank you in advance for your advice. if i am married for 2 years but live with the person for 5 years and now he is unfaithful but i have a child for him and also look after his other 3 kids. do i get anything if i divorce him. Depends on what his assets are, what his job is, what your job is... too many factors for me to give you an answer. You need a consultation. We can do either an annulment or a divorce. I don't see a button to send you a private message, I really need to get this finalize.Thank you!! It's not working because you don't have Outlook. If you hover over the link, you would see the e-mail address. My friend is a Canadian and she went to Trinidad to marry her sons father,only to end up coming back to Canada because of physical,mental and verbal abuse. The marriage was never filed with immigration nor was the licence filed with the governement. .. my question is how does she go about getting a divorce from Canada,without a marriage licence or does it matter? I'm not sure what you said there makes much sense. Send me a private e-mail. is an annulment costly and time consuming? Time consuming: No. You have a consultation with your Lawyer who deals with everything for you. After that it's one hearing at the Family Court. Hi I have been married for 2months my husband has not been contributing anything to the home, he pay no bills, he buy no groceries and he has also been unfaithful, he admitted it to me but said it was my fault he was unfaithful, how can I end this marriage? Both my wife and I have agreed to go separate ways after being married for 2 years. We have no kids and no conflict over property and have been separated for a period of two years. What is the procedure for dissolving the marriage? Who should the letter be addressed to and what should it contain? Dissolutions are no longer done; you're looking at a simple divorce. You can probably do it on your own. Send me an e-mail. Resident for more than 3 years? Send me a private e-mail. Hi, I have a friend that met a Guyanese national in September of 2013. He invited her over to Guyana in March 2014 because his grandparent had died. She gets over there only to realize his family had planned a marriage ceremony, and his family members pressured her into accepting his proposal so that they could be married right away. After the ceremony she then finds out that she had to return to Trinidad alone as he didn't have residence or the ability to return permanently to Trinidad. She finds herself now 5 months pregnant and separated from the man who has violent outbursts and threatens her and her daughter's life(child from a prior relationship). Is this sufficient grounds for an annulment? If so what is the necessary procedure? Definitely grounds for an annulment. Send me a private e-mail. If my husband and I both agree to a divorce and sign the necessary documents to be processed at family court. Do we still have to face a judge in court? Hi....How do u go about filing for legal separation from your spouse and if during that period of separation you purchased a property or was giving a property from a parent, does that spouse have any claims to said property???? Separation is generally only for common-law relationships. If you're married, you need a divorce. No claims to a gift by parents. We were married in T&T although not residents or citizens. What documents should be submitted for a dissolution and do we need to be in country? No need to be in the country. Send me a private e-mail. After 10 years of marriage my husband left me in oct 2013 we have been separated since i currently live in our house we have no kids problem, we have a mortgage on the property i got a letter from the bank yesterday saying mortgage in collection he hav not paid in 4 months i work no where he was my sole caregiver i have no education he is an ex police officer, i refused to get out of the house so now he is letting the bank take the property and he will buy it back from them for the balance of the mortgage, what can i do? With no job, you will have to go to Legal Aid to see if they can help. Hi,my husband and I have been living together three years prior to marriage. We built on an addition to his parents home which they gave to him. Like an apartment. We have been married for 14 months. Can they put me out? Can who put you out? If your husband was gifted the property, then he would own it, so only he would be able to put you out... hopefully your marriage won't come to that. Hi my husband and I were married for 4 yrs and have recently separated due to infidelity on his part. He left 'to live with his gf when I found out'.Since he met me with a house that I built with a late husband, will he be entitled to half the property if I apply for a divorce? Hi i have been married for 6 months and my husband is emotional abusing me, To the point where i feel like not living anymore. Its making me sick anxiety attacks. Could i get a legal separation from him? She could say that your behaviour is unreasonable. If she wants a divorce, you can't stop it. Hello must commend you an the article and a well decorated resume. My question is this:how long does it normally takes to get an annulment and how long after the annulment can you get married? In T&T, approximately 6 months... there's no waiting period for remarriage. Will lawyer fees cost less with a legal separation instead of a divorce? married for 18 years with two kids. husband committed adultery. have a joint mortgage and car in my name. I pay for the mortgage and the car. Went before the court five years ago for the said reason but threw out the matter to try again at marriage. however it seems that husband has rekindled association with the adulterous female partner, want to file for divorce but does not want to lose my car. i know the court will remove him from the house as i have the kids. what are the chances that i will get to keep the car? Hi if one of the parties was 17 at the time of marriage, but is now 20, is there any law that states that they hav to wait until that party is 25 to get a divorce or annulment? And if the wife is a 21 year old healthy woman who is also unfaithful and does not pay any bills at all, is she able to ask for half of her husband assets during the divorce? If my husband and I decide to do a collaborative divorce, would we still have to face a judge, keeping in mind we have two children under the age of eighteen? Family court isn't like what you see on tv... it's not intimidating as you just made it sound with your "face a judge" comment. It's basically just to confirm the information at the hearing and your divorce will be granted. Hello, i was married 27 years ago, but my wife and i have not been together for over 18 years as i've been living in the US. We have not been together during that time. How do i file for a divorce from my wife as i am here in the US. All you need is a Lawyer, your original marriage certificate and the fee. You should be divorced within 4-6 months. Hi My husband filed for divorce after 4 years of marriage. we have not received the final decree. our divorce hearing was in November. I just found out he was having an affair and a child will be born anytime soon. Can anything me done at this stage? Good morning, what is the cost and procedure to file for a legal separation? Your option would be a divorce... costs vary by Lawyer, ranging from 5000 - 15,000+. If it's an uncomplicated divorce and meets to right grounds, you can probably do it pro se. Visit Family court. Is it possible for me to have my marriage annulled, I was married in December because I am pregnant. However, my husband is very immature; he squanders money, plays games on the computer and lives on Facebook for 5/8 of the day whenever he's off or home from work. Furthermore, I live with in-laws which gives me the feeling that I am no longer entitled to my basic human rights. Under these circumstances, I feel depressed and demoralized therefore an annulment is my desired option. Is it possible under these circumstances, and what are the procedures? Hi. I have three children with my ex wife. She was awarded primary custody. She is currently in a common law relationship and recently had a baby with this guy. I currently pay weekly maintenance for my children, however, I am concerned that the funds and not fully used towards my children, and some of the money is being used to support the new baby. Am I still required to pay her maintenance directly or can I appeal to have my case reviewed? Please guide me accordingly. You can possibly request a variation after 6-months, but I don't know the facts to provide more information. Your only option is divorce. If you can't afford a Lawyer, you need to start by visiting the Family Court. Good day I got married 11 yr ago but have been separated for 10 yrs, we never went to registered the ceremony at any legal office do I still have to file for divorce or is the wedding not valid? Your "rights" will depend on looking at the marriage over the last 10 years... that's for a judge to deal with. Hope you have a good Lawyer. hi, ive been married for 1year & 6 month, in this marriage am not happy, my husband shows me care at all, he ignores me allot, he doesnt want me get a job, am always in his house 24/7, he doesnt make time for me at all, he dont take me anywhere, all his concern is all about work, found hidden numbers of woman in his wallet, he flirts any where he works, these woman threaten me on facebook. over 2 months now, he sttarted working nights, he sleeps all day long, works night again and so it goes on, he just gets up and goes to work. i know at nights he'll be on another phone talking to these woman of the numbers i found, he constantly lies to me. am basically crying day and night, i feel depressed allot. sometimes suicidal taughts are in my head..
i do everything for him. he cheated on me ones, i cant make this work any more. am breaking down piece by piece. i have no money to get a divorce. Sorry, there's no legal aid for divorces, so you can try doing it on your own, beginning with a visit to the Family Court. Became pregnant at 21 and with family pressure and emotional distress got married at 21 to someone 17years my senior. I am of the opinion I wasn't of sound mind with the weight of everything that was happening could only be described as being numb. I remained unhappily married for 3 years and packed 1 bag and left. Some years later we got divorced. Is there any possibility of an annulment? I am eight months pregnant and not working and my husband does not provide for my basic needs. He has not provided for me in months even knowing that I was pregnant. He is no longer living in my home for over a month. How do I get a legal separation via family court? What does this mean "registered the ceremony" ? Which makes a wedding invalid? I'm confused. If she takes your daughter without your consent and you're unable to fulfil the terms of the court order, then she will be in breach of the order and can be held in contempt of court. Someone I know got married on December 20, 2014, to a woman from the Dominican Republic who overstayed her time here in Trinidad. They got married under Hindu Rights. She does not carry his name, nor there was an exchange of rings. She also is working here illegally as a babysitter. Could this be considered a sham marriage? If so, how do I go about reporting this to the authorities. My common law wife of 20 years, of which 10 were good and 10 bad has finally left my home. I turned my property over to my son about 3 years ago without her knowing.. she is now claiming for half the property value. What is she really entitled to? I cannot properly answer that question with the information given. I am married 2yrs , My husband quit his permanent job during our engagement. He has since been in and out of jobs after much debates . I have since accumulated a debt of over 180,000.00 due to many coercion . He has legal custody of his 8 year old daughter and we now have a 1yr old . I have been on the receiving end of much verbal abuse and emotional strain , he has a bad anger problem and I am very scared of what he might do . He has done non-verbal intimidation like constantly putting on and off the lights when I am trying to sleep , when that doesn't work he stares at me for long periods of at a time in a menacing manner and punched in doors when I try to escape . I have hit him already while he kept using foul language at me and I snapped I am under constant strain and pressure . He is now selling his house we shared, we are no longer able to upkeep the mortgage. I have tried couples therapy after 3 or 4 sessions due to financial strain (as well as his complaints of the therapist not being "qualified enough"), I have saved and managed a more qualified therapist but I think it is too late , he started to complain about the money I am spending on therapy when I can give him to rent a vehicle as he hates to travel . HELP please I feel used and abused , is this grounds for separation and subsequently divorce and / annulled ? I've been married for four months but due to some serious red flags and serious issues with my husband I abandoned the marriage and returned back to Canada. I've read into laws and the marriage isn't recognized in my country but I wish to annul what we have in Trinidad. Is it possible to do so from where I live and not have to be in Trinidad to do so? "I've read into laws and the marriage isn't recognized in my country" -- which country is this? Mars? A marriage is recognised everywhere. Most ridiculous thing I've heard in a while. So you're saying, if I get married in T&T and I migrate to Canada, I have to get re-married? A lawyer can deal with it without your presence using a special petition. As long as you have the original marriage certificate, you can get divorced here. You need to visit a Lawyer for this. I have to get an annulment & I don't know where to start, can you advise me please?? I saw an attorney but they told be i have to pay upwards of $5000 and I don't have that. I need to find out information about annulments. I know I need a lawyer, but want to find out if I'll have to go through counselling or any medical tests to prove an unconsummated marriage? hi,how long would it take to disollve my marridge? Hi..I'm married for five years and separated for two. My husband and I never consummated our marriage. We slept together after 3 days of marriage. Is this grounds for annulment. And where do I begin. Our marriage is irretrievably and he also agrees to it. Hi , I need help! Been with my husband for 13 years , we have a 7 year old, but only Married for 3 years, he has never finacially taken care of either of us besides RENT. He has never paid any of our bills or school or groceries or anything else , literally ONLY what ever rent of a house is . He has been a drug addict , addicted to weed since he was 13 but in the last 10 years has turned to other drugs and also became an alcoholic , he has changed jobs 7 times in the 13 years I have been with him, but noe he has nothing he is completely broke. His mom however bought us a house in her name but he is suppose to pay her rent each month, he has no job now and cannot pay rent. He is still using and drinking and I have had enough of the abuse and the stress . I want a divorce, how do I get to still live in the house I am in now and continue to raise my child? My parents were married for 26 years and then my mother took off with someone else who she has been living with for the past 5 years. My brother has been staying with my dad for about 1.5 years or so. And he has been verbally abusive to my dad. My brother says that my father can't get him out of the house because half of it belongs to my eloped mother. My father asked her for a divorce and she said no, even though she doesn't live with him anymore. Please advise. Is there a time limit for getting an annulment for the same reason? I've been married for 18 mths, but after all efforts it can't be done so i want an annulment however I'm being told by my lawyer that because a year has passed I cannot get it. Kindly advise. Thank you. I have been married for 7 years to my wife, we have two kids 7 year old daughter and 6 year old son. I have been thrown out of the house numerous times by her over the course of the years and for over 9 months I have separated from her and currently living by my family. I have started seeing someone for 2 months now and she doesn't want me to see my kids nor support them due to me having someone else. She comes and threatens the girl at her workplace, harassed me where I am living and sends me obscene messages and voice notes. I reported to the police but they said they don't see anything wrong with her doing that. I am trying to divorce her but she refuses but wants me to pay maintenance for her and the kids but she is currently employed. I am asking for some assistance in how to go about with getting a divorce from her and also how can I get some help from the police in getting her to stop harassing my Co workers my family and my girlfriend. We thank you for sharing this information. I wish to have my marriage annulled because I married my now wife because she said I got her pregnant and must marry her, but realised that the child is not mine. Can my marriage be annulled, I am thinking this is a case of force or duress. Thank you so much. Hi good day ....I have been married for eight years an two years ago we were separated .. A year ago we had a legal settlement at a JP office... Can the legal settlement stand in court ? Because my wife keep asking for more valuables..
Hi there, I cannot find your email address in the About Me page, my fiancé in Trinidad is planning to divorce the woman hes ben separated from for over a year, there are some questions we have. How do I reach you? Can anyone telk me how I can contact Trinbago Rights as I can't seem to find an email contact. I have been married for 5 years, my spouse and I decided that our marriage cannot work. We have been seperated for 7months now and items were shared. We have no kids and no ties to each other. My spouse said they was going to file for a divorce but it has been months and nothing yet. As it is now we do not communicate. How do I proceed and when can I start legal proceedings. Visit a lawyer or visit the Family Court. I am wondering if I qualify for an anullment? I'm from Canada, married a man in Trinidad May of 2015. He ended up being mentally,emotionally and verbally abusive. He's still in contact and still very much the same... Constantly hurting me. The only reason I keep in touch is for my daughter's sake. He adopted her and treats her well but I can't take the hurt he causes me anymore. I don't want my daughter thinking that's how a man treats people. I abandoned the marriage in October of 2015 and came back to Canada to get away from him. Can you help me, please? I am a US citizen that married a Trini citizen back in 2000 (in Trinidad). We saw each other 6/7 day per year for the first two years. In 2002 he came to the States and within 9 days everything fell apart. I was informed that he married me due to familial pressure to settle down. I asked him to leave at that point and he returned to Trinidad. I have not seen nor spoken to this man since 2002 until yesterday (he text me pictures of his 5 year old son). Can I request a divorce on grounds of desertion/abandonment? Or on any other grounds? If so, how do I go about the process from the States? Yes... simple divorce. Send me an e-mail.